Know Top Causes of Workplace Injuries with Our Los Angeles workplace injury attorney at Koszdin, Fields, Sherry & Katz explains that contrary to the popular belief, it’s not just slip and falls that are responsible for high rates of workplace injuries in the U.S.
On behalf of Koszdin, Fields, Sherry & Katz posted in Workplace injuries on Friday, February 16, 2018. U.S. workplaces are becoming less safe for employees by the year. Just recently, the Bureau of Labor Statistics’ Census of Fatal Occupational Injuries released a report showing a seven percent increase in workplace fatalities in the U.S. Workplace deaths are on the rise in our country, indicating that U.S. jobs pose more risks to the lives of Americans than ever before. Certainly, the newly-released statistics is disturbing, but why is this happening? Why can’t employers eliminate potential hazards and risks in the workplaces to reduce the risk of workplace injury and workplace fatality for their employees? Our Los Angeles workplace injury attorney at Koszdin, Fields, Sherry & Katz explains that contrary to the popular belief, it’s not just slip and falls that are responsible for high rates of workplace injuries in the U.S. In fact, our attorneys have outlined the most common causes of workplace injuries in Van Nuys and elsewhere in Los Angeles (and you might be surprised by the findings!). It may sound ridiculous, but fatigue is responsible for a large number of workplace injuries in the U.S. The thing is: fatigue leads to physical and mental exhaustion, which takes a toll on an employee’s health, and can even result in disability if an employee continues pushing himself or herself beyond reasonable limits. We live in a world where it seems that everyone is stressed out. Moreover, it sure seems as if it’s reasonable to be stressed out because of just about anything that is happening in your life: financial situation, personal life, job security, politics… All these factors contribute to the growing epidemic of stress in our country. 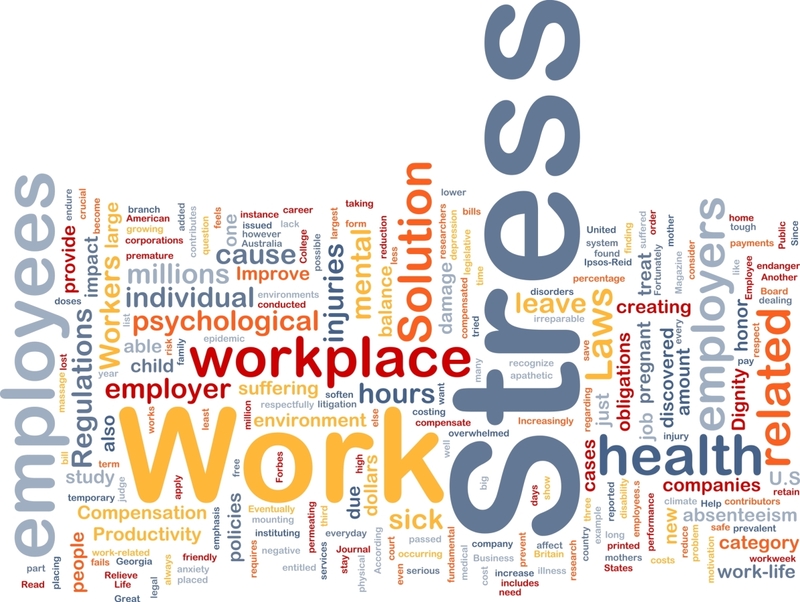 Stress, in its turn, is responsible for such health conditions as heart attack, stroke or hypertension, all very common causes of injuries in the workplace. Regardless of your work activities and job position, there is always a risk of slip and fall accident unless you’re sitting in your cubicle for the duration of your work day and don’t even make trips to the bathroom. You don’t necessarily have to be a factory worker to be exposed to hazardous materials and be at risk of injury caused by toxins, chemicals and toxic waste. Working with these may cause burns, respiratory disease, skin infections and even blindness. Whether you’re an office worker or surgeon (or ANY other worker, for that matter), there’s always a risk of developing carpal tunnel syndrome, which occurs in workers who engage in repetitive motion activities for a prolonged period of time and with inadequate rest. You don’t necessarily have to be a construction worker or a mover to be at risk of lifting injuries: back injuries, strains or sprains, are all very common injuries in the workplace. Don’t laugh, but slamming into a closed door is no joke. In fact, it can result in serious injuries and even lead to a workers’ compensation claim. Our best workplace injury attorneys in Los Angeles explain that unintended collisions are a very common cause of injuries at work. Whether it’s a still object, or a wall, or even a co-worker, there’s a risk of colliding with something or someone, especially when you’re preoccupied with something or are distracted. Consult our attorneys at Koszdin, Fields, Sherry & Katz to find out how to obtain compensation for your workplace injury. Learn how to file a workers’ compensation claim and receive benefits and recovery for your medical expenses, lost wages and lost capacity. Call our Van Nuys offices at 818-812-5639 or (toll-free) 800-747-3447 or complete this contact form to get a free consultation. Do You Know What the Most Common Workplace Injuries Are?